Are you looking for a good under make-up primer that not only helps smooth out pores but also gives you a little shimmer? 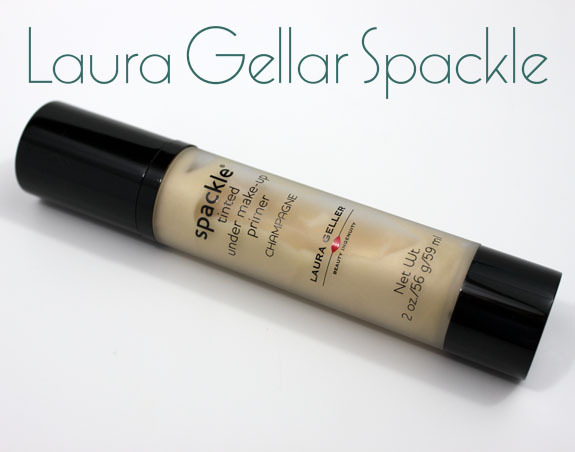 Laura Gellar Spackle might be what you need! 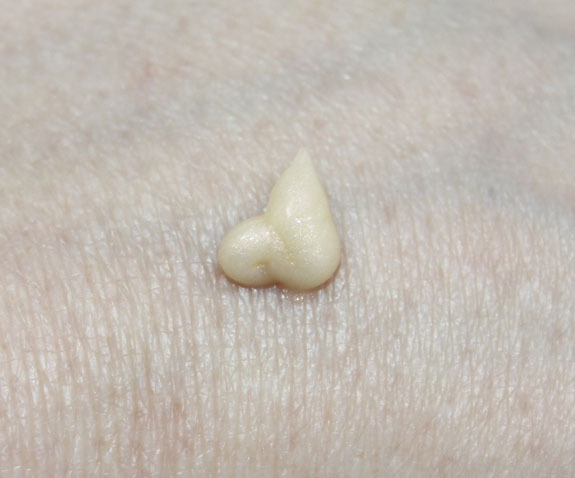 Spackle is a shimmery primer that you put on after your moisturizer, but before your foundation as a base. It does a really great job of making skin feel super smooth and definitely helps to cover pores. 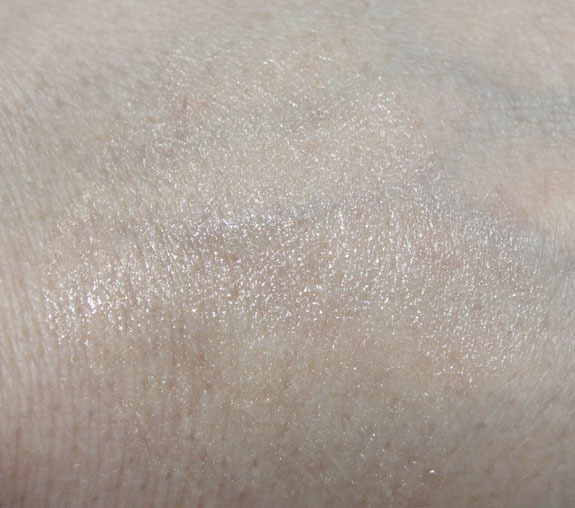 I like that there is a nice light champagne colored shimmer which makes me look “dewy” not greasy or glittery. 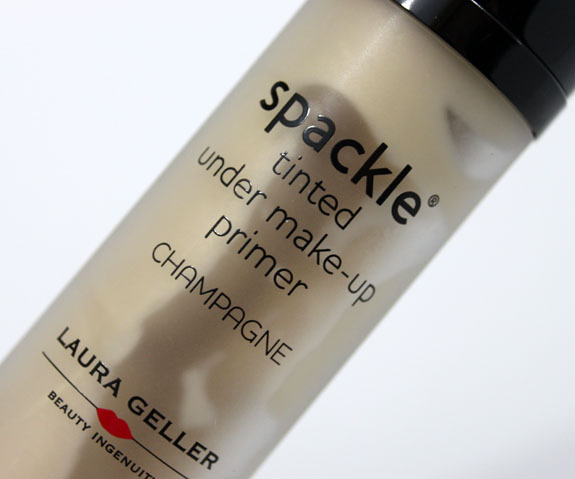 Spackle comes in two different tinted shades (Champagne and Bronze) as well as an un-tinted version. The pump style bottle feels really sturdy and is fairly large at 2 oz. You just need one pump or so to cover your face. As you can see when it blends in it just gives off a hint of shimmery color, nothing too drastic. It feels really nice and moist and very easy to rub in. I wore it under foundation a few times now and really liked the effect it gave me. I have used similar products under foundation that seemed to get completely covered up when I applied it on top, but this does come through the foundation giving off a nice glow. I really liked this product. It did what it said it would and I like having a primer and shimmer in one rather than having to layer various products. Chanel Khaki Vert vs. Sonia Kashuk Fatigued – Reader Request! I don’t wear foundation but I do love anything that shimmers. Do you think this could be used instead of a foundation? I usually use Stila Illuminating Lotion to give me a bit of the dewy look. Lacquered Lover´s last post…Holo With Glitter and Crackle- Oh My! It is a very sheer finish so won’t give you the kind of coverage a foundation would. However it does help hide pores and smooth out the skin and add shimmer so if you were looking for something to just barely cover and lighten/brighten, it would work. Ooo, I’ve been looking for something like this. Everything I’ve tried seems to give me disco ball face. Did you notice if it made your makeup last longer? It didn’t seem to make it last any longer than say my regular Tarte or Hard Candy primer. I always use primer of some sort now and in general they definitely help make makeup last longer on me. 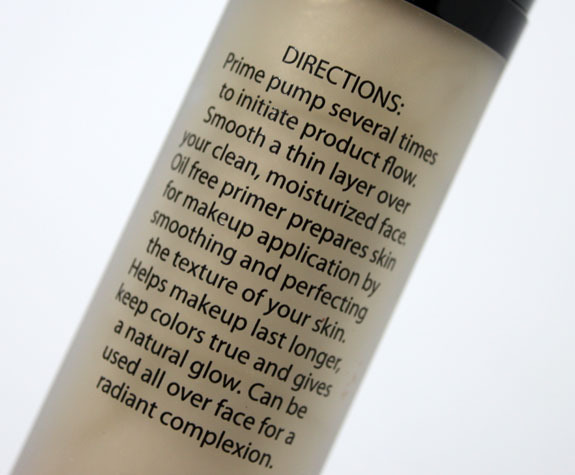 The concept behind primers is they form a barrier between your moisturizer/treatment products and your foundation. That barrier being laid down is that seal feeling usually given from the silicone in primers. That also is the really smooth feeling that is imparted as well as decrease visibility of pores. With this barrier down, your foundation is not going to be pulled into your skin by your moisturizer/treatments. Thus a good working primer should make your foundation stay on longer. Also, it keeps your treatment products and moisturizer working on the skin where they should be. I don’t like to take the time to put on another layer most of the time, and I wear tinted moisturizer 90% of the time. I have found the original Spackle good. Like VV, I also like Tarte primer a whole lot, I feel the Spackles are a lot lighter for layering, and dry really fast so you can move on to the next product in your regime. Very pretty shimmer! Glad to see that it’s subtle. I liked that it’s called “Spackle.” I mix Smashbox’s Photo Finish Light Primer and their Artifical Light together, so this may be a good alternative. I am a fan of primers with shimmer to them…Bare Minerals makes a great one as well!